Written By: Twelve Oaks Tree Service Inc.
Cabling helps support weak limbs, while bracing provides rigid structural support by using steel rods. This method will help you reduce the risk of accidents, as well as keep your tree structurally sound for a longer period of time. It is recommended to have you the tree inspected yearly after the first procedure is implemented, to ensure everything is still in a safe condition. Bracing a tree is the process of attaching fasteners to a tree and then using heavy duty ropes and chains to apply tension to the weakened limbs. Cables are attached to the trunk of the tree and then connected to the fasteners. This process gives extra support to tree and eliminates the danger an unstable tree could cause. 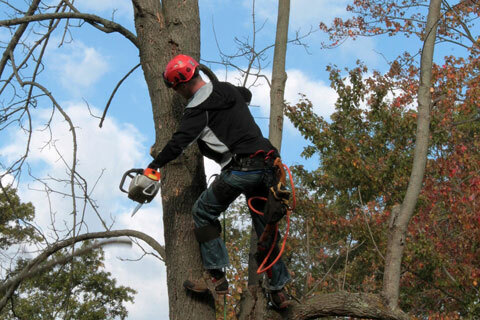 This relatively simple process is requires technical skills, and should be completed by a knowledgeable arborist. Do not try to brace and cable a tree yourself, as this could be very dangerous. When this process is completed by a trained professional the braced tree will be able to better withstand inclement weather as wells as other environmental uncertainties. 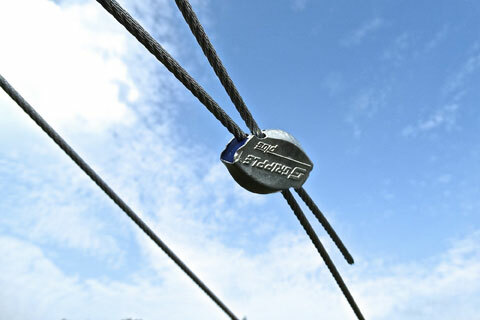 Why should I choose bracing and cabling? Choosing this method is a more cost effective option when there may be a potential hazard. This procedure allows a diseased or weakening to tree remain in your yard, and not pose a threat of collapse or danger from falling limbs. No, bracing and cabling will not hurt it . Each anchor must be drilled in place, but this does not hurt it at all. The answer to this question will vary. The longevity of this method is dependent on the effects of disease as well as the splitting, and the overall structure and stability of the tree.